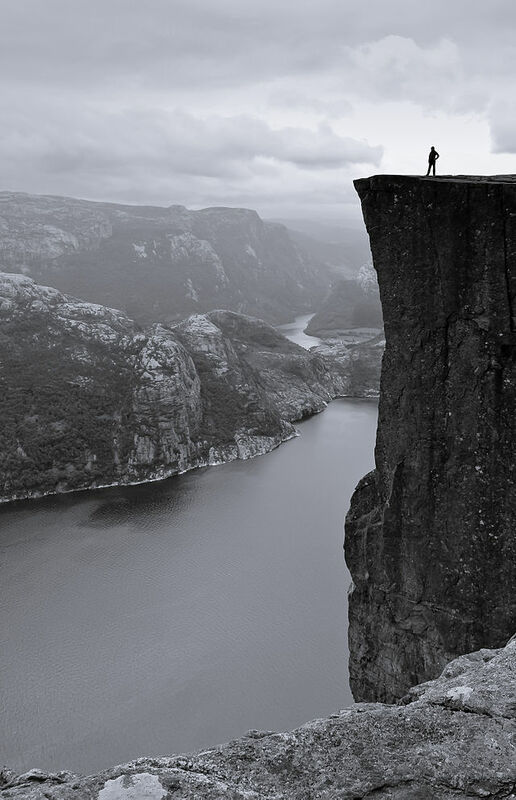 Preikestolen is a unique rock formation towering 604 meters over the Lysefjord near Stavanger. The top of the rock is completely flat with an area of 25mX25m and it looks like the whole block is cut with a knife. The cliff was formed during the ice age, approximately 10,000 years ago. The water from the glacier froze in the crevices of the mountain and eventually broke off large, angular blocks, which were later carried away with the glacier. 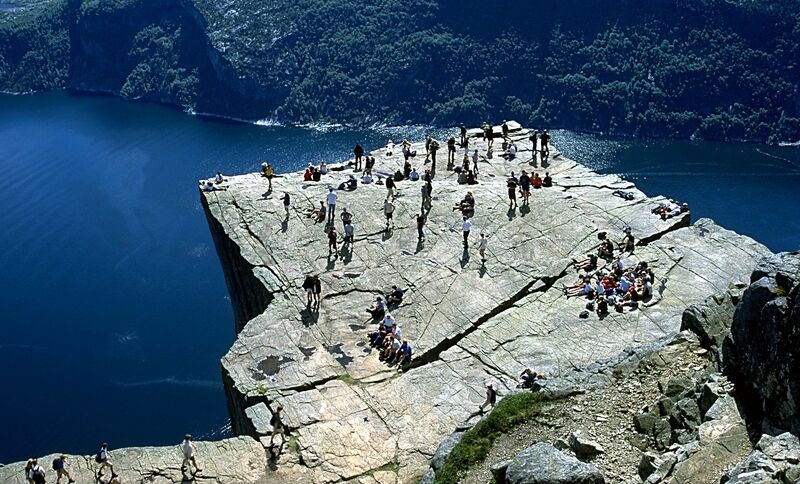 Nowadays the Preikestolen is a very popular tourist attraction with 150 000 -200 000 visitors a year. Looking at the rock it is clear that the place is extremely dangerous with no safety devices. Fortunately there had been no accidental fatalities at the site until October 2013, when a Spanish tourist fell to his death from the top. 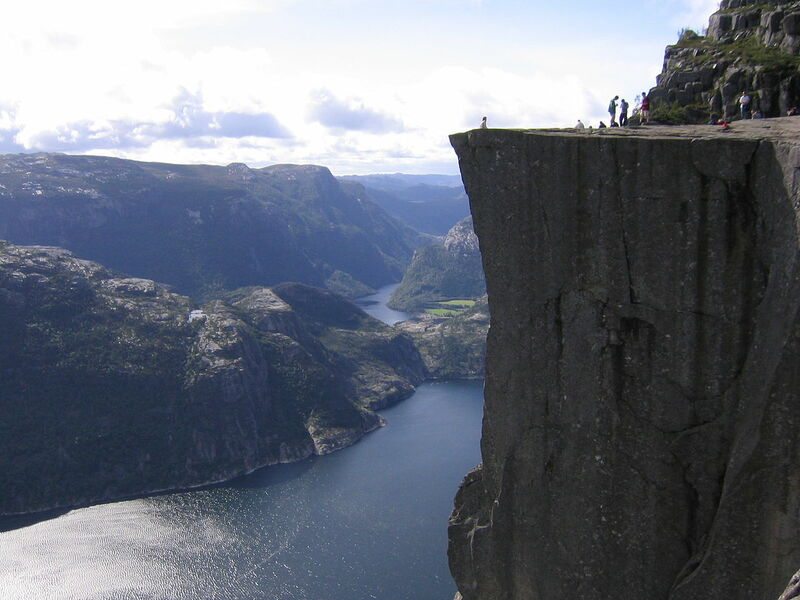 There is a variety of tours arranged to see the rock from different parts of Norway. Also a regular bus runs from Tau to the car park where the hike trail begins. The bus service runs Saturday and Sunday from mid-May to mid-September, and every day from late-May to late-August. This minibus costs 900 kroner from Tau. 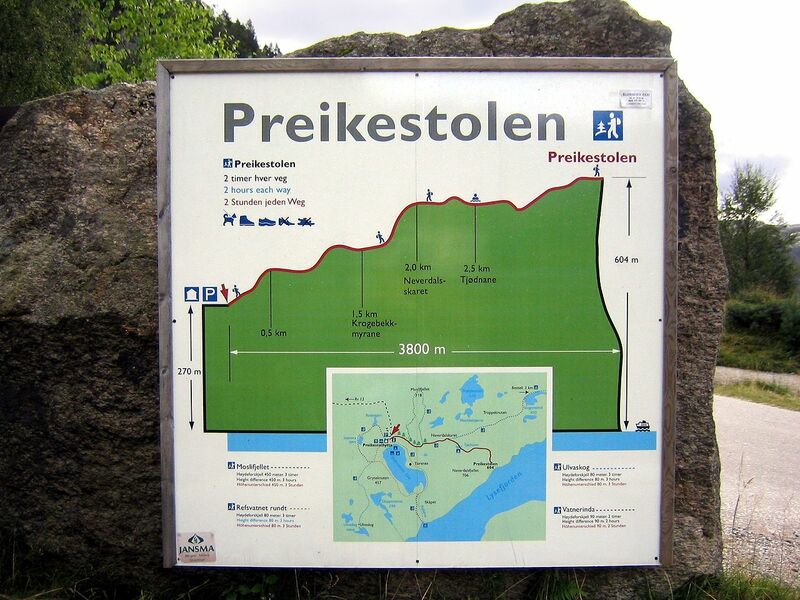 If you come by own car, the Pulpit Rock lodge is easy to find, located near the main road (Rv 13) south of Jørpeland. From the lodge, there is about 3800m long trail to the Pulpit Rock that climbs 350 metres through somewhat uneven terrain. Along the trail, there are picnic areas and excellent bathing spots. Remember proper walking shoes/boots, walking sticks, warm clothing and food. The minibus from Tau to the car park where the hike trail begins costs 900 kroner. The paid parking for private cars is 100 kroner.